One of the most resilient ideas about societal development after World War II was that nations would inevitably secularise as they modernised. However, as we come to the end of the 'secular' twentieth century, it is obvious that religion continues to be an important factor in politics around the world. The author examines the continuing importance of religion, focusing upon the regions of Europe, the Americas, Africa, and Asia. 1. INTRODUCTION; RELIGION AND POLITICS DEFINED; Church and the state in comparative perspective, Explaining religious deprivatization. Conclusion. 2. THE UNITED STATES OF AMERICA: BUCKING THE TREND OF WESTERN SECULARISATION; Civil religion and church-state relations, Religious pluralism and politics, Secularisation and politics in America, The New Christian Right, US Catholicism: from private to public denomination, the Nation of Islam, Conclusion. 3. LATIN AMERICA: Catholic hegemony under attack, Catholic church-state relations, The Medellin conference and the popular church, Base Christian communities, Ideological conflict in the Catholic Church in the 1980s, The evangelical Protestant challenge, Protestants and politics, Conclusion. 4. WESTERN EUROPE: SECULARISATION AND THE RELIGIOUS RESPONSE; Church-sate relations, Churches and secularisation, Case studies, Resisting secularisation: religion and politics in Northern Ireland and among Muslims in Western Europe, Conclusion. 5. EASTERN EUROPE: FROM COMMUNISM TO BELIEF; Church and state during the communist era, Religion and naitonalism in the USSR's satellites, Churches and oppostition in Poland, East Germany and Russia, Conclusion. 6. AFRICA: RELIGIOUS COMPETITION AND STATE POWER; Religion and politics during the colonial era, Church-state relaitons: 1960s to 1980s, Religion and democratic change, National Muslim organisations and political change, Conclusion. 7. THE MIDDLE-EAST: RELIGIONS IN COLLISION; Islam and Judaism in political perspective, Religion and politics in Israel, Islamist movements in Egypt, Algeria and Turkey, Conclusion. 8. CENTRAL ASIA: THE RETURN OF ISLAM TO POLITICS AFTER COMMUNISM; Islam in Central Asia: the impact of the 1917 revolution, Political Islam in Central Asia after the USSR, Case Studies: political Islam in Central Asia, Conclusion. 9. 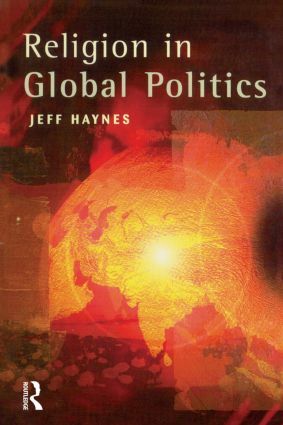 POLITICS AND RELIGION IN INDIA; Hindu and Sikh nationalism; What is Hinduism?, Hindus and politics in premodern India, Hinduism and nationalism, Hindu nationalism and politics in the 1980s and 1990s, The genesis and appeal of Hindu nationalism, Sikhs and politics, Conclusion. 10. BUDDHISM AND POLITICS IN SOUTH-EAST ASIA; The essentials of Buddhism, Therevada Buddhism in South-east Asia, Case studies: Thailand, Burma and Cambodia, Conclusion. 11. CONCLUSIONS; Postmodernism and the sociopolitical salience of religion, The complexities of secularisation in the postmodern world, Religious resistance to secularisation.